Hiring the best headshots photographer for your business is key to getting great photos. This OC attorney was in need of new headshots. We provided him with multiple looks, and two locations to get a variety of photos to choose from. This picture is one of my favorites that we took in Costa Mesa, near his law office. It really shows his personality and style. 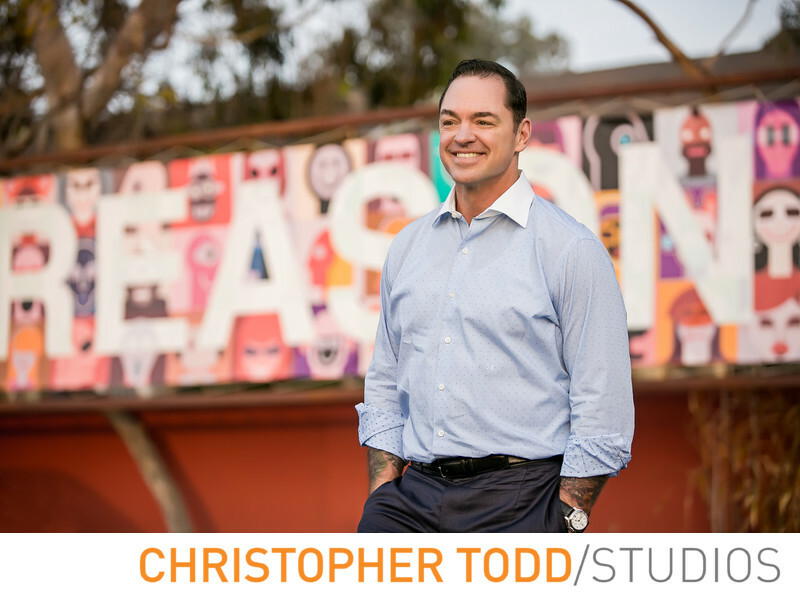 We have over 16 years of experience photographing business professionals, executives, and entrepenuaers in and near Irvine California. We provide convenient service to many Orange County Attorneys and other businesses in need of updating their headshots. Getting the right headshot leads to more traffic to your website, more business, and recognition. These photos help brand your company with personality and life. There are many uses for professional headshots including linked in profiles, social media, marketing material, and websites. It's easy. Get in touch and let's talk about what you are looking for in a professional headshot. Location: 2930 Bristol St, Costa Mesa, CA 92626 . 1/400; f/2.8; ISO 400; 95.0 mm.